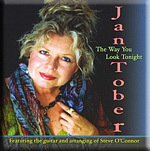 "Rest in the voice of Jan Tober as she takes you to the center of your being." Louise Hay - Best selling author of "You Can Heal Your Life!" and "Reflections on Your Journey." KRYON, The Magnetic Master, reminds us that the KRYON BOWL helps us in recalibration and in decoding the KRYON information. The KRYON BOWL is used throughout this CD. As we move from our carbon-based 3D form to our quantum state, we become crystalline and align with the crystalline grid. We awaken to our new Crystalline bodies, filled with love and compassion. 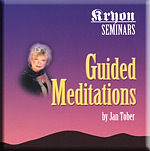 Enjoy this Guided Meditation from Jan Tober and Lupito William Jones. Enjoy this wonderful Singing Bowl album created by Lupito William Jones. Jan presents two guided meditations similar to those delivered each Kryon seminar throughout the world, with beautiful Celtic harp accompaniment by Mark Geisler. Side One - Finding your sweet spot. Side Two - Divine Love. THIS IS A FORMER CASSETTE, REMASTERED FOR CD. A complete color/sound workshop! Jan guides us through the seven Chakra system using the enhancement of the ancient Tibetan singing bowls. Side One - 30 minute complete version. Side Two - 12 minute version. (Includes "Fantasies," as sung at the end of many Kryon Seminars. A full album of beautiful channeled lyrics and melodies, accompanied by world-class musicians Mark Geisler (on Celtic harp and violin), Ron Satterfield (specific orchestrations), and best-selling Canadian New Age artist Robert Coxon on keyboard. This full album contains 9 songs, and over 50 minutes of uplifting energy - meditative listening for relaxing. Self empowerment is the theme! Jan sings some of her Jazz ballad favorites with master guitarist Jeff Linsky. Earl Klugh on Jeff Linsky: "Jeff is one of my favorite players. He has it all.." Songs include My Romance, Interlude, In a Sentimental mood, and 9 more. The full album contains 12 songs... Jan at her best! The responsibility of a singer is mainly to best interpret the meaning of a lyric; to find the true heart-felt content that its writer had in mind, especially when it relates to the Great American Songbook. Jan Tober is well versed in this category. After all, she's had a professional role in the lives of bandleaders Stan Kenton, Benny Goodman, and Les Elgart. This CD is a slight departure from the one above. Here we find a more straight-ahead jazz feel that incorporates a quintet. Included in the repertoire are some of the greatest standards ever written. The same as above, but in French! A complete color/sound workshop! Jan guides us through the seven Chakra system using the enhancement of the anciet Tibetan singing bowls. 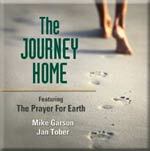 Jan Tober and Mike Garson - Includes "Prayer for Earth," as heard in many Kryon seminars, and also by millions around the world at Christmas 2001, played on "Voice of America." providing space for the process of self-healing. Peace on earth starts with us, and our own spirit. May this music fill you with renewed peace and love.